How to Watch DVD on Xbox One (Solutions to Watch DVDs on Xbox One)? Now you know that you can watch DVDs on Xbox One, you may wonder if Xbox One can play DVD discs directly. Well, it depends. Xbox One can play DVD directly but only when you have installed media players on it. 1. Click Store on the main menu of Xbox One. 2. Enter the interface of Store, click Search. 3. Put in DVD Player in searching bar, click Menu button and choose DVD Player. 4. Click Free or Free Trial to download the App and install it. However, Microsoft announced that Xbox One can only play legitimate DVDs, and it is not suitable for those homemade or lock-region DVDs. Therefore, if you want to play those DVDs on Xbox One, you may first rip DVDs to formats fitted in with Xbox One. So how to rip DVDs to Xbox One video? A professional DVD to Xbox One ripper is necessary. Here Leawo DVD Ripper is recommended. Download and install Leawo DVD Ripper on your computer, and kick off the ripper to get ready for the DVD to Xbox One video conversion process. As Leawo Software has intergrated Leawo DVD Ripper into the converter suite Prof. Media, you will enter the main interface of Prof. Media after you kick off Leawo DVD Ripper. 1. 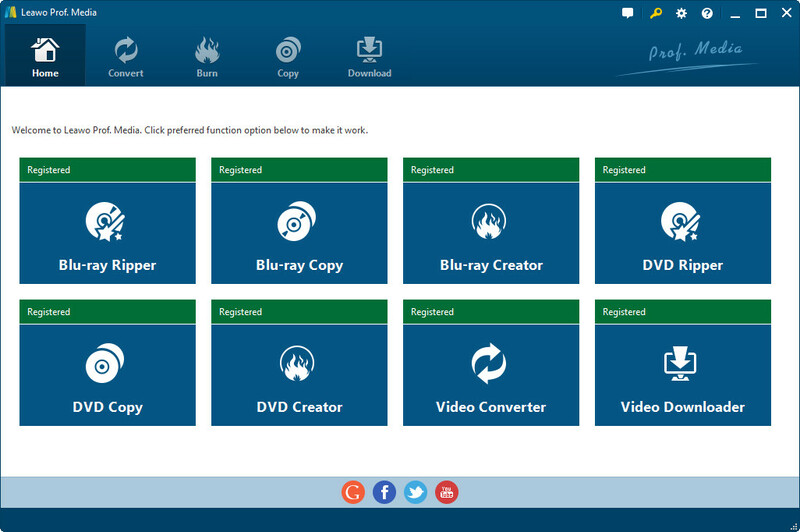 Click DVD Ripper among the eight options to enter Convert module. 2. Click Add Blu-ray/DVD on the tool bar to add your target DVDs into the App. Notice that you can add a single iso file or you can add a file folder. Besides you can also choose to add movies from CD-ROM, namely DVD disc. 3. 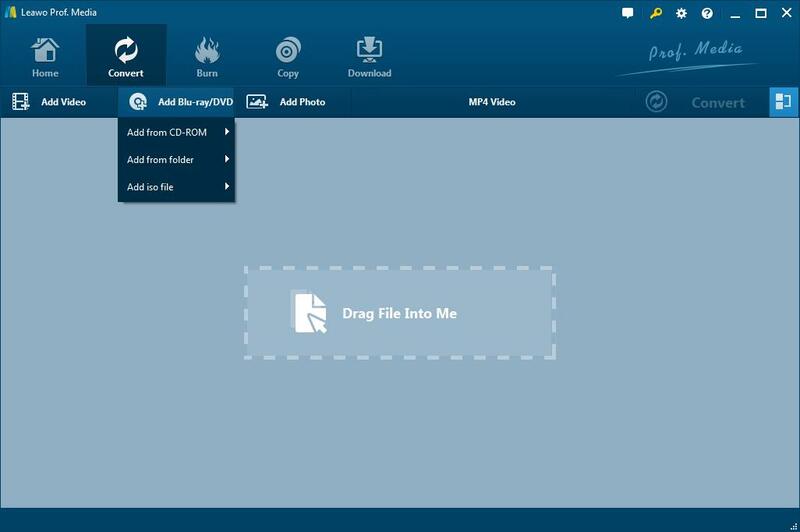 After dragging your target file (DVD) to the interface, click MP4 Video and then click Change to select your output profile. 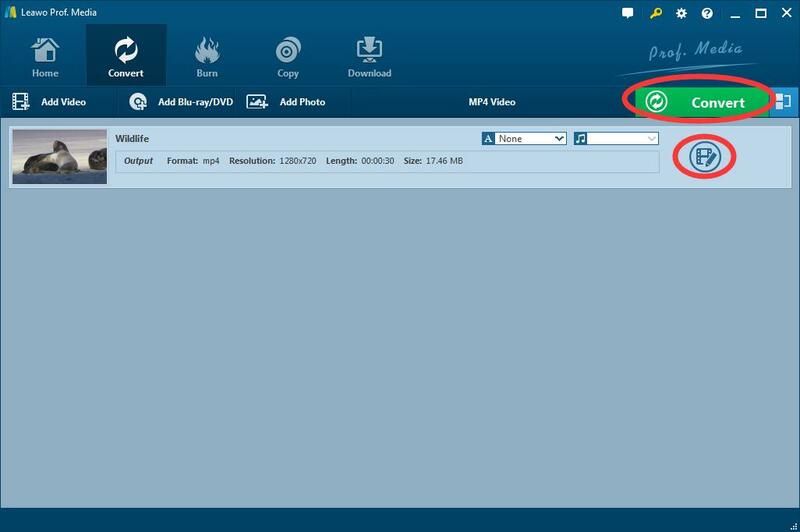 You can select various options which will suit all your needs: MP4, AVI MKV, MOV. For example, if you want to change the format to MKV, just click MKV among the options, and it will jump back to the Convert interface. 4. Then you will see an interface as below, you can just start by clicking Convert at the right top or you can edit your DVD by clicking the little pen to the right leveling with your DVD’s name. You can edit it into 3D format or cut short or add some effect to it. 5. After clicking Convert button, you will be guided into a window where you need to select which folder the video will be saved into. Click output directory or select target folder to choose a folder to save and contain the converted video. And then Click the other “Convert” button at the bottom to begin DVD ripping process. 6. It will take you a little while to convert the format, and after that, the process will be done. Click Finish and the video will be saved into your appointed folder. Go to the targeted folder to find the converted video files. using hard drive or USB flash drive. You can either use a hard drive to transport the DVDs to Xbox One, or you can connect Xbox One with your personal computer by USB flash drive to import the videos. This is the easiest and fastest way. 1. Insert your USB flash drive into your computer, copy and paste the converted DVD movies into the USB drive, and unplug the drive from the computer when transfer process completes. 2. Then plug the USB drive into the side-mounted USB port on the left-side of your Xbox One console. 3. You’ll notice your USB flash drive listed under the different devices that the Xbox One Media Player app can see. You may also notice some Windows PCs or other devices that might have content on them too. Select your USB flash drive to view the DVD movies within. Please note that Leawo DVD Ripper also have Mac version which you can download. Leawo DVD Ripper also provides a free trial. If you are not sure whether you want to trust the App or you are skeptical of UE (User Experience), you can click Free Trial.